Automated multistory parking facilities, which have machines automatically carrying cars to parking spaces, are quite a common sight in Japan. In other countries, this type of parking system seems to be rare, so some tourists to Japan take videos of the parking structures to show to friends back home. People around the world are opening their eyes to the automated parking technology in Japan. Many Japanese people own automobiles. 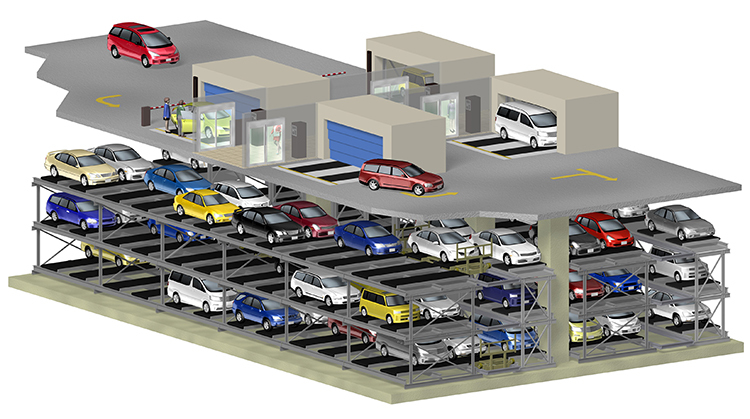 An automated multilevel parking garage accommodates parking for many cars even in limited space, and many of these facilities have been established to secure parking. In Japan, these automated parking facilities entered practical use in 1960. It was four years before the Olympic Games were held in Tokyo in 1964, people enjoyed wealthy lives and leisure was booming. More people were using cars and, consequently, roads experienced major traffic jams. The incidents of illegal on-street parking also increased sharply at the time. So, the number of automated facilities grew as a parking solution for cars in a country where land is scarce. Lots of Cutting-Edge Technology Built into Automated Parking Facilities! One feature of these facilities is the automatic parking process. 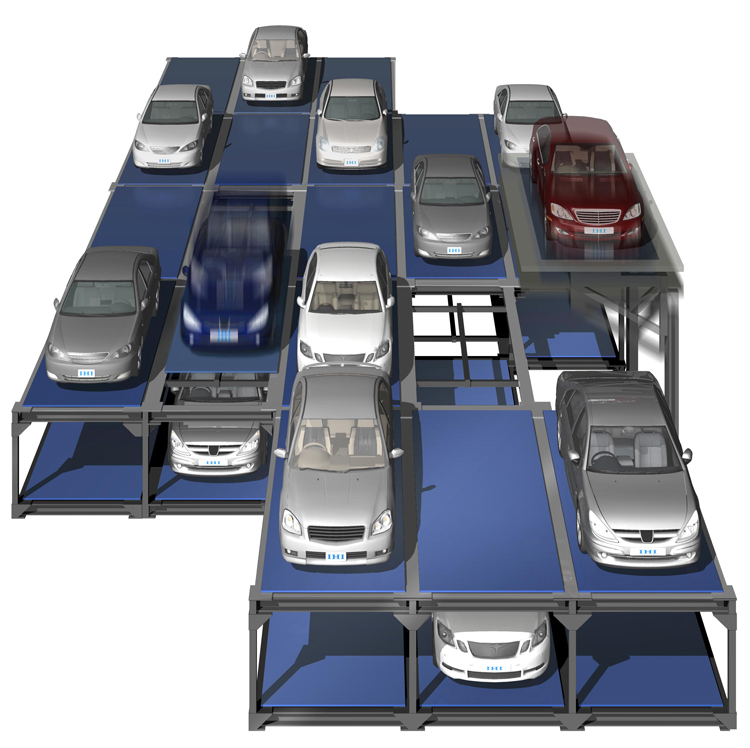 After everyone gets out the vehicle at the specified spot in the parking facility, the vehicle is loaded onto a conveyor like an elevator, which transports it to a parking space stacked in a rack structure. 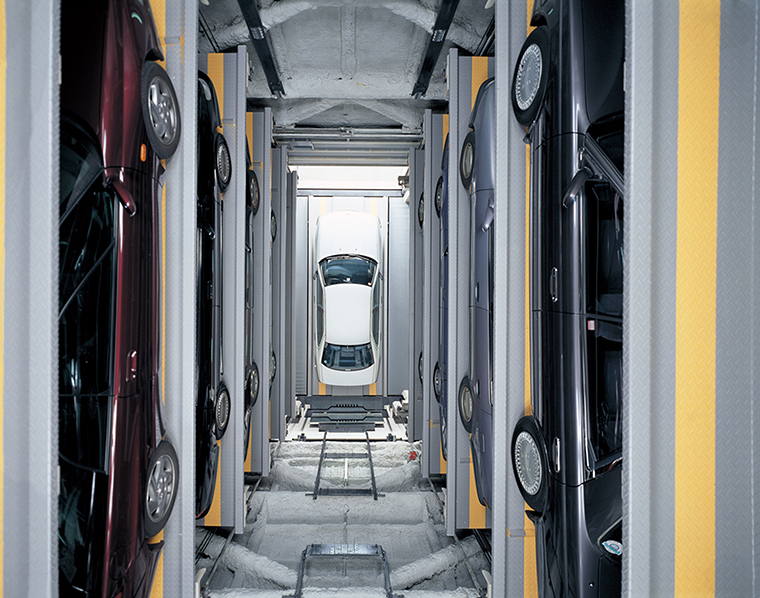 Automated parking garages come in many varieties. One type has a larger vehicle capacity, while another type has a shorter wait time for storage or retrieval. Each type has own merits. The technological advances made in these automated facilities up to the present day have been tremendous. Especially in cities, they have outstanding technical characteristics, and many automated parking lots scattered throughout are taking full advantage of leading-edge technology. For example, at many installations in the past, an attendant had to manage cars as they entered or exited. But today, quite a few parking garages control everything with computers. The facilities run fully unattended systems. After the driver stops the car at the specified position and gets out, the facility automatically stores the car in a parking space. When the driver wants to use the car, he or she only has to enter a previously registered number into a machine to retrieve the car. A quick parking system takes only a minute or so to bring back a vehicle. So it is very convenient. Unlike an ordinary large parking garage, where people often have difficulty finding their parked cars, automated garages have eliminated the hassle of the search. 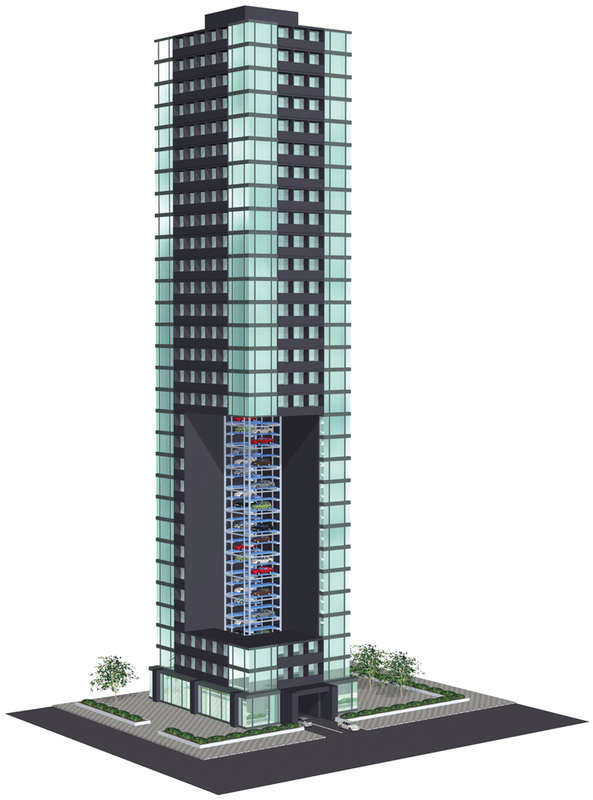 There are automated multistory parking facilities not only above ground but also below ground. Commercial facilities and office buildings in urban areas do not have much space to build new parking lots nearby. So they sometimes build the parking facilities underground. These facilities use computers to determine the shortest path to store or retrieve a vehicle in order to minimize users' wait time. To do so, how they efficiently circulate vehicles one after another is like solving a puzzle. A number of these structures can hold 100 vehicles or more. The shoppers above have likely never even dreamed that so many cars are parked directly beneath them. Japan is known worldwide as an earthquake-prone country. Leading-edge technology is used in earthquake preparedness. 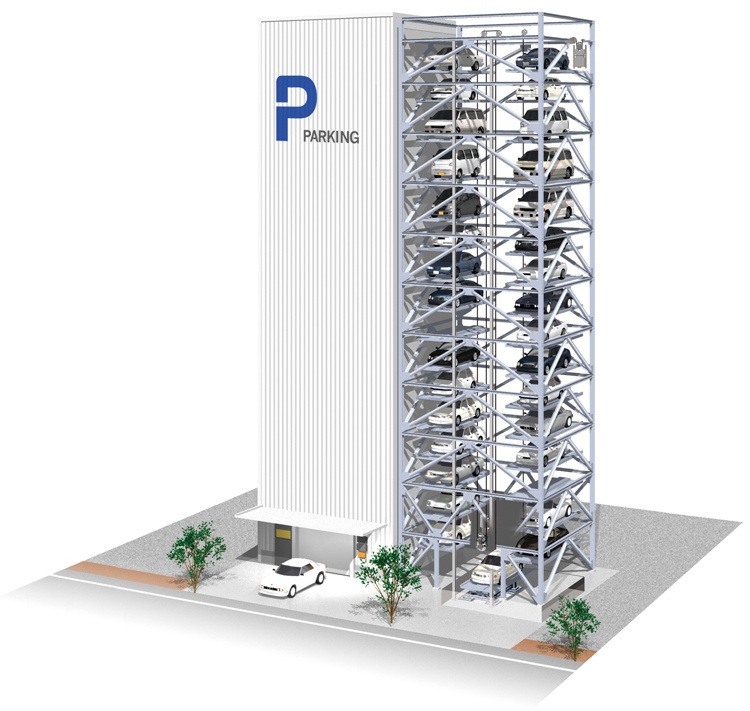 In urban areas, automated parking structures are sometimes built in high-rise buildings, and many of them are designed to withstand the most powerful earthquakes ever recorded. In addition to the earthquake-resistant structures of the buildings, these parking facilities incorporate various seismic countermeasures. One such measure is a safety mechanism installed on the shelves supporting the pallets underneath vehicles. By stopping the pallets from bouncing up and down, it prevents the pallets and vehicles from falling out when shaken in an earthquake. Another measure automatically stops operation when a sensor detects strong shaking. High-tech bicycle parking facilities in Kyoto have a storage capacity of about 200 bicycles each. ©Giken Ltd. The technology of automated multistory parking facilities has also been applied to bicycle parking areas in recent years. They have gained popularity, with a lot of talk about "high-tech bicycle parking." A bicycle parking facility provides shelter from wind and rain and prevents theft. 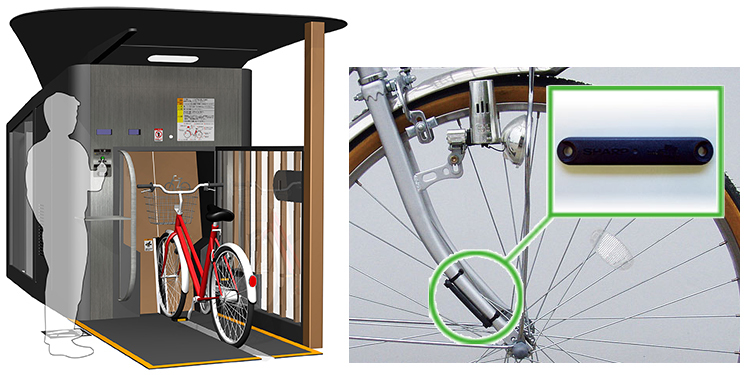 To park a bicycle, the bicycle has to already have an IC tag installed next to the front wheel to automatically open and close the doors at the entryway to the parking structure. There, when the cyclist presses a button, the doors open and swallow up the bicycle, which is then stored underground. The process to this point takes less than 10 seconds. 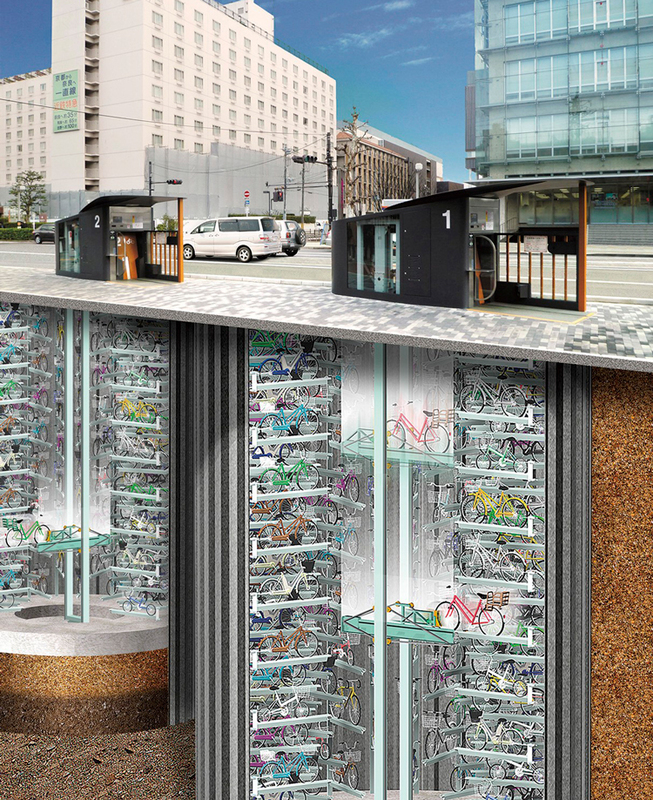 Kyoto has built a number of high-tech bicycle parking structures beneath the street to protect the city's scenery. Kyoto is an ancient city in Japan with a rich cultural landscape. Scattered bicycles parked here and there would ruin the beautiful streetscapes. The operation to store or retrieve a bicycle is very easy. When the cyclist moves the bicycle with the installed IC tag close to the shutter doors, the sensor detects the IC tag and opens the doors. ©Giken Ltd. 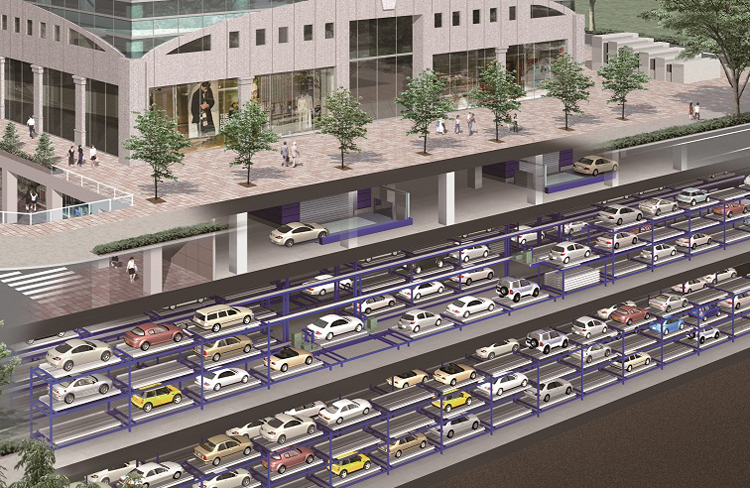 In Japan, a nation where land is limited, the technologies for automated multistory parking and bicycle parking facilities are highly developed precisely because land is scarce. The future may see other fields employing these technologies that make full use of available space.